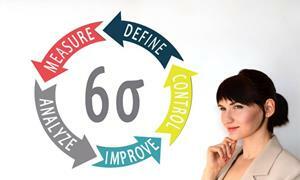 Lean Six Sigma is a group of methods which combine the best features of Lean concepts and Six Sigma tools. The purpose of this is to improve project management and project performance and remove unnecessary elements in a systematical way. Having this qualification on your CV demonstrates project management ability, efficiency and organisation, and will be highly attractive to potential employers. To become certified, candidates must sit the official exams. This course package includes the Lean Six Sigma Green and Black Belt official exams, so you won’t have to pay extra for them. Fill out your details to find out more about IASSC Lean Six Sigma Green & Black Belt Courses + Both Official Exams.